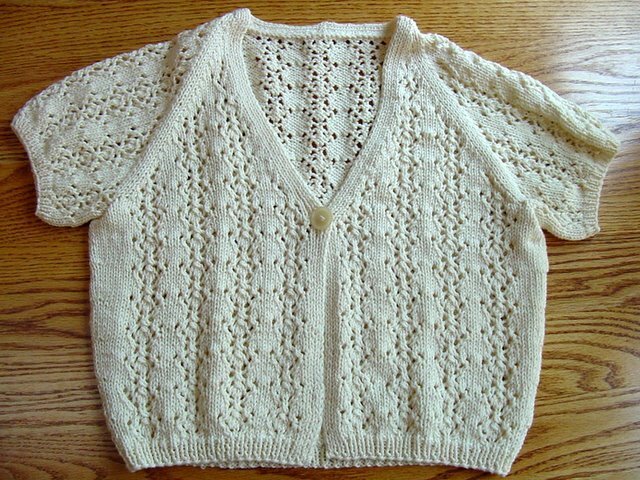 This was made for my mother's 80th birthday using Cotton Fleece yarn - less than 3 skeins - and it fits her beautifully. I don't have a picture of her modeling it yet, but hopefully I will soon and I'll post it then. 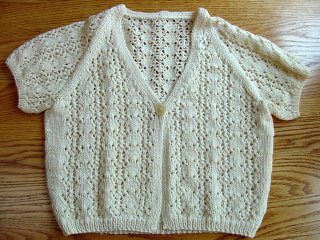 Everyone in my knitting group LOVED this garment and I feel it was very successful.